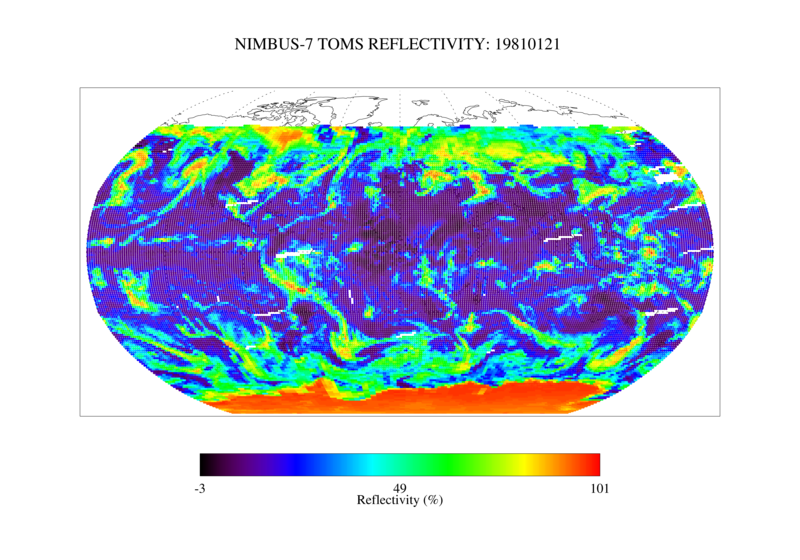 This Nimbus-7 Total Ozone Mapping Spectrometer (TOMS) version 8 daily zonal means data product contains Lambertian effective surface reflectivity values (Rayleigh corrected). The data are averaged in 5 degree latitude bands. These data are stored in an ASCII format. The TOMS data were produced by the Laboratory for Atmospheres at NASA Goddard Space Flight Center (Code 614). Nimbus-7 TOMS Data Product User's Guide. Documentation related to legacy TOMS mission. TOMS No campaigns listed. No dates provided.